Quick summary: In this lesson, students explore the concept of upcycling as a sustainable art form. Upcycling involves taking recycled or usually discarded items and recontextualising them into a work of art! Students will examine the work of New York artist Gwyneth Leech, who uses recycled coffee cups as her ‘canvas’. Students will analyse how the artist uses specific materials and techniques, then will plan and create their own upcycled artwork. Students understand the term ‘upcycling’ and investigate ways that it can benefit the environment. Students understand how the use of carefully selected materials can enhance the audience’s understanding of the artist’s intention behind the work. Students learn how to work collaboratively to create an art installation. 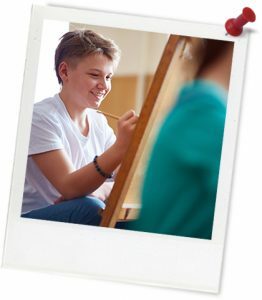 Relevant parts of Year 7 & 8 Visual Arts achievement standards: Students identify and analyse how other artists use visual conventions and viewpoints to communicate ideas and apply this knowledge in their art making. They explain how an artwork is displayed to enhance its meaning. Students plan their art making in response to exploration of techniques and processes used in their own and others’ artworks. Level of teacher scaffolding: High – facilitate class discussion, analysis of artist’s practice, and direct outdoor activity prior to art making. Resources required: Student Worksheets – one copy per student, device capable of presenting a video to the class. 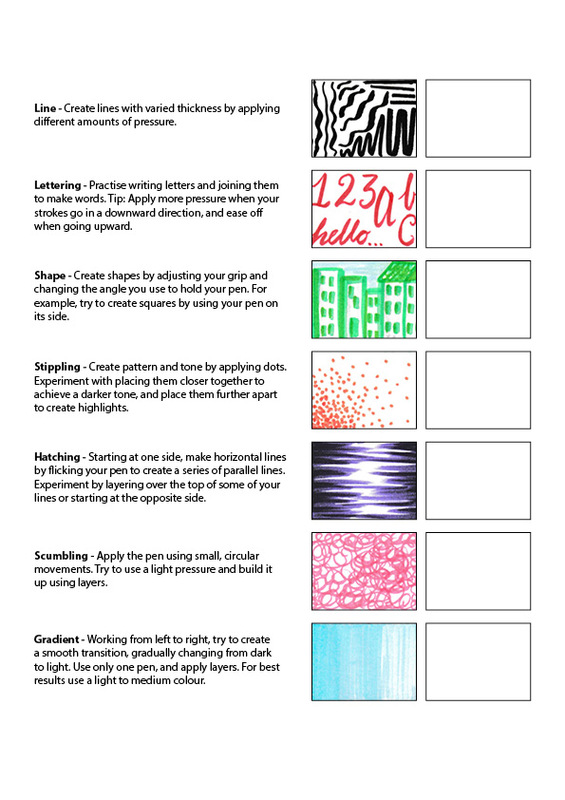 Pitt Pen Techniques Handout, one per student. Student sketchbooks OR A4 paper, recycled paper cups (these can be collected from the school community in the days/weeks prior to the lesson, sourced from local businesses) OR paper cup template, PITT Artist Brush Pens (Calligraphy Brush Pens are an alternative to this tool). Keywords: Upcycle, recycle, art, sustainability, installation. Students take direct inspiration from their environment and document lines, shapes and colours in drawing from observation. Thought starter: What is upcycling? Where does she find ideas and inspiration for her artworks? Why do you think she uses paper cups as her ‘canvas’? What artists’ tools did you see Gwyneth use? What reasons did she give for using those tools? Complete this after you have finished your paper cup artwork. 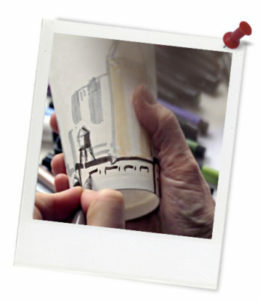 What subject matter did you choose to include in your paper cup artwork and why? Explain why you chose to use certain shapes, colours and patterns.